It is a shame that in this fast paced, use it, chuck it world, we also unwittingly throw away the skills, crafts and traditions too. These crafts, either utilitarian or the expression of the individual, are what have traditionally kept us grounded and in touch with our surroundings. I mourn both this detachment and the loss of the beautifully handcrafted tools, in all their astonishing variety. For their weight in my hand, the luster of their work life and the stories they tell, I am often persuaded to bring old tools home, to a retirement of display. It brings me joy then, that such crafts are beginning to see a revival, textiles, furniture, glass, ceramics are being redefined with the use of new techniques. We are seeing the young embracing these disciplines, serving apprenticeships and many more people are now involved with the crafts, making candles, soaps hand printing all with a dynamic mix of traditional and new technology, just as it should be. But more than this we are once again interested in upcycling. I have always tried to recycle and have over the years, scraped, sanded and restored an eclectic jumble of items, potbellied stoves, church pews, copper coal boxes, to name a few. My children grew up with weird castles made from old wardrobes and vast collages across their walls. No surprise then that I embrace fully the new trend of upcycling, a hybrid of restoration, craft and art and will happily still be snuggled alongside my own box of buttons, varnish, table legs, wire wool and just in case jars. Left alone in my world of Frankenstein’s furniture long after the trend has passed. I will indulge here while I am on trend and highlight some of my favorite crafts and upcycling ideas and show how they can sit in our modern interiors, I hope one or two ideas find their way into my children’s homes. 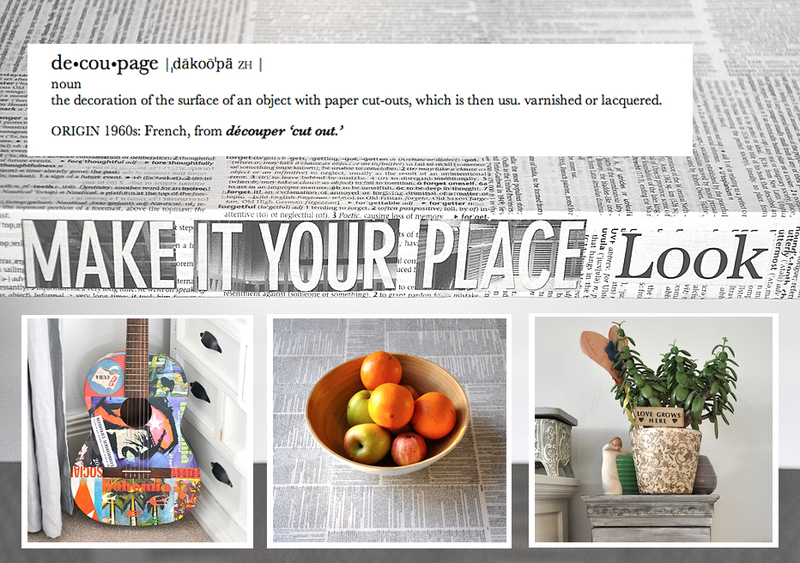 Let me introduce you to decoupage. A fabulous world of covering things with paper. A playful and cheap way to save a piece of furniture from groundfill. 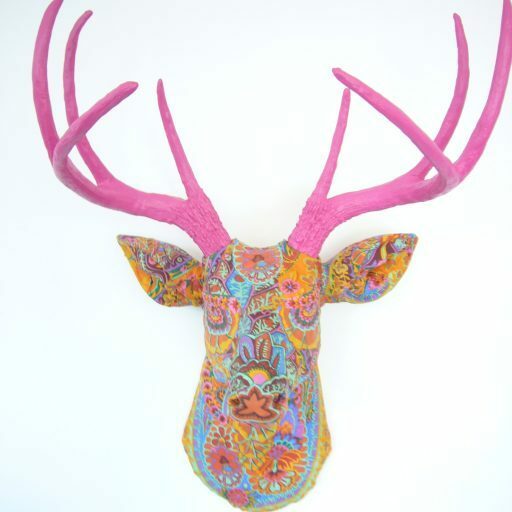 I will Start with Découpage, the art or craft of decoration objects with paper cut outs. Remember those old jewelry boxes with cherubs, angels, and flowers cut and pasted on the lid? and in with the new. Just look what is possible, and these are the first few images I found. This craft can give a fresh modern hit to any tired object. I have used this old craft many times. I once covered a restaurant wall with old handwritten menus to great effect. Think outside of the box, and old dial telephone that you do not use anymore, makes a fantastic doorstop, paperweight or just a great piece of art, when covered in unexpected paper. Old food tins, make beautiful tea light holders when covered with a scrap of wallpaper. Old maps make marvelous table top covers. Look it up, there are hundreds of inspiring ideas out there and instructions on how to achieve them. Customize your home! Bold and not for everyone, but I love it, and that’s the point, it is unique to me. I used just one image on an old firescreen, which was repainted black. It is now once again being used, matches my interior and can be changed. You can actually make art by sticking onto canvas. Go on, have a go! The company below are making a living out of it. This is a beautiful site with some exciting ideas. Paper-cutting has been a tradition for many centuries, with wide-ranging styles, techniques, subject matter and skill. After paper was introduced to Europe in 12th and 13th centuries, each country produced its own ethnic paper decorations. In Switzerland and Germany, every schoolgirl was expected to be proficient in the craft of Scherenschnitte, in which they snipped their own designs of birds, animals, children, and trees with small sewing scissors.